The Cayman Islands got off to a rocky start with the United States Treasury Department and other taxing authorities but things are changing. Both countries have signed an intergovernmental agreement. The pact requires Cayman financial institutions to comply with the 2010 U.S. FATCA legislation. That law, short for the Foreign Account Tax Compliance Act, requires banks and other financial services firms to disclose accounts with ties to the United States. Last year we spoke with one American expat who has maintained a Cayman account for over a decade. He had no intention of reporting his account because a local Cayman official told him that it would never be disclosed. We suspect that many others feel the same way. Wrong. Financial institutions that don’t comply are subject to a nasty 30% withholding tax. More importantly, there is now enough worldwide pressure and momentum on banks and foreign governments. Holding out would carry dire consequences. Americans and U.S. taxpayers with accounts in the Cayman Islands must file an FBAR form if their aggregate offshore holdings exceed $10,000 at any time during the year. The FBAR reporting requirement extends well beyond traditional bank accounts. The Caymans are known for a wide variety of sophisticated financial products. Chances are if the product has a savings component it is reportable. That means certain precious metal accounts, life insurance policies and annuities may be require FBAR forms. The penalties for not filing an FBAR are huge and in certain circumstances can even include prison. The IRS has some amnesty and streamlined reporting options available but those disappear if the IRS finds the account first. Penalties might even be waived for some taxpayers that can demonstrate that all taxes have been timely paid on the income from their offshore accounts. 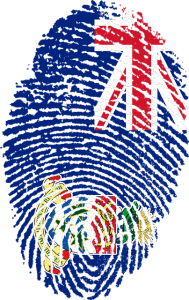 The Cayman Islands have long prided themselves on privacy and bank secrecy. That reputation could hurt Americans with unreported accounts and unfiled FBAR forms. It’s become increasingly difficult to find any safe haven from the IRS. More importantly, the risks are so high that trying to outsmart the IRS is a dangerous idea. Years ago the debate was whether one’s unreported offshore account could be found. Now the debate centers on when it will be found. Have an unreported bank account or other financial asset in the Cayman Islands? Give us a call. We have helped taxpayers around the world with FATCA, unfiled FBAR forms and other offshore reporting issues. Most services can be handled for a flat fee and services are available worldwide. All of our services are performed by highly competent tax lawyers and therefore covered by the attorney – client privilege. Let us give you a no obligation summary of your rights and responsibilities.